The 2012 season ended with Lyons Township earning their first-ever title after defeating Loyola 14-6 last May. Can the Lions handle the pressure of being the hunted instead of the hunter, or will one of several loaded teams (Fenwick, Naperville North, New Trier, etc.) stake their claim to the state championship this season? The Lions return several key components from last year's title team, so they should begin the season confident they can defend their first-ever championship. Joe Shannon leads the way on the offensive end, with Josh Hirt, Peter Dore, and Sean McMahon making the Lions a tough attack to contain. Chris Sekula returns in goal, while sophomore Tommy Kaptur could step into the role of defensive stopper for head coach Doug Eichstaedt. Depth should also not be a problem for LT, as Jack Patel, James Bailey, Michael Dow, and Nathan Kriha all return and could play valuable minutes for the well-balanced and motivated defending champs. The Friars start the 2013 campaign in the unfamiliar position of not having to defend a title. Matt Farmer and company will be looking to get back into the winner's circle after their reign of eight straight titles came to an end in last year's nailbiting sectional final game against Lyons. Jimmy Mullen, Matt Bresnahan, Omar Calderon, and Tony Perez should help head coach Kyle Perry's squad continue to be one of the best in the state, while Trevor McLean leads a strong supporting cast that is always full of depth with the talent and skill to make an impact over the course of a long season. Goalie Tommy McGuire returns for his senior season in goal, so the Friars will be tough to score on as they look to get back to their winning ways at the end of the season. The Huskies are loaded from top-to-bottom, with six starters and most of their bench returning from a squad that won a sectional title and lost in the state quarterfinals by just four goals to the state champions. Eric Curia is a dominant presence on both ends of the pool, so expect more of the same from the speedy senior in his final season. North's junior class is probably the best in the state, as BD Chapman, Luke Landiak, Garrett Nash, Nolan Roberts, and Gianmarco Duin will make it tough for opponents to figure out who to stop on the offensive end. Michael Shabel returns in goal to anchor the defense, while senior Adam Nyland and sophomore Drake McClure give head coach John Blumthal plenty of weapons at his disposal as the Huskies set their sights on more than just a trip back to the state tournament. The Trevians have all the pieces in place for a big season in 2013. Joey Ryan and Jordan Palmer make for one of the toughest offensive tandems in the state, while Jason Bartha also emerged late in the 2012 season and should be a offensive force for New Trier. John Friesen will handle the full-time duties in goal, while Dano Johnson, John Schulz, Matt Wieser, and Reid McCullough could fill out the starting lineup for a team always loaded with depth. The Trevians will look to repeat as Central Suburban League champions after going undefeated in the previous campaign and will have their sights set on a sectional title and a trip to the state tournament in May. Last year's third-place finishers were a senior-dominated group, but Jim Caliendo's teams always seem capable of reloading rather than rebuilding. It all starts with senior Kevin Tunney, who had a breakout season in 2012 and ended up as the team's second-leading scorer. Mike O'Malley also had a terrific season and should continue to produce on the offensive end, while junior Zach Roper has emerged as a strong defensive presence for a team that rarely gives up many goals. Alex Grant, Nick Lathrop, Paul Fitzpatrick, and Tom Serrano also return and could step into the starting lineup, while Sean McNicholas hopes to replace Mike Malecki in goal. It may take some time for the Eagles to gel, but they are very likely to be playing deep into May and are always a dangerous team to play at the state tournament no matter the opponent. The Crusaders had an up-and-down campaign in 2012, with their season ending in a sectional semifinal loss to Stagg. Even though they lost playmaker Mike Mulcrone to graduation, Rice should be in good shape, as most of their starting lineup back, including scorers Dave Jackson and Kevin Mayer. Expect bigger contributions from the likes of Ian Disteldorf, Mike Omastiak, and Mitch Strahlman, while Matt McComb returns to mind the net for the Crusaders. Rookie head coach Chris Mulcrone takes over the coaching reigns from brother Bill Mulcrone and will have his sights set on getting Rice back to the state tournament after a brief hiatus. The Patriots rapidly turned things around after a sub-.500 season in 2011, winning a sectional title and nearly winning their opening round contest at the state tournament. Stevenson boasts one of the top netminders in Illinois, as Robbie O'Brien returns to make life difficult for teams hoping to get into the scoring column. The offense is led by Mitchell Sokolsky, who had a breakout season as a sophomore and will likely continue to provide plenty of goals for head coach Sean Wimer's squad. Remy Dalloul will also be counted on for an increased level of offensive production after a 25-goal season, while Stevenson will need players like Alex Divanyan, Harris Plofsky, Jonathan McCullough, and Varun Mummadi to step up if they hope to claim another North Suburban Conference title and earn a second-straight state tournament berth. The Porters have come a long way since forming their water polo team less than ten years ago. Not only did they qualify for state for the first time last season, they won their first-ever quarterfinal game and finished fourth in 2012. Not only that, but even after losing several key starters to graduation, they should still be in contention to make it back to the state tournament in 2013. Dan Oldendorf will be expected to lead the way on offense after scoring 89 goals in his junior season, while David Presz, Jake Elias, Jake Knowles, and Jacob Speechley should provide a ton of production to make up for the loss of scorers David Hir and Zach Trent. John Goetz was impressive in his lone start in the state consolation game, so he should be ready to take over the goaltending duties from Matt Yaeger. The Vikings were a young team in 2012 and still reeled off an impressive 19-win season, so they should be ready to build off that experience to challenge teams like Sandburg and Lockport for supremacy during the conference season and at sectionals. Kevin Kuchta remains the focal point of the H-F attack, where he will be joined by fellow senior Mike Mitchell and a pair of impressive sophomores in Hayden Santefort and Mason Reidel. The defense is boosted by the return of junior Jakobi McClellan in goal, while head coach Tim Caldwell will likely look to senior Edgar Wright and sophomore Robbie Schloen to play significant minutes in 2013. Freshman Preston Gennet could be thrown right into the mix with the hope that he make an immediate impact for the Vikings. The Condors lost two of their main scoring options (Eduardo Chavez & Ramiro Almarez) but return plenty of talent and are the type of team that can compete with anyone. Ivan Ariza and Marcos Hernandez should carry the bulk of the scoring load, sophomore Jeronimo Chavez could emerge as a star after an impressive first season playing at the Varsity-level, and Daniel Pantoja and Manny Martinez also return to give head coach Omar Vasquez plenty of options as the Condors seek another CPS title and their first-ever state tournament appearance. The Huskies look set to improve upon last year's 16-win season and have plenty of firepower returning for head coach John Rapp. Mark Hallman and Nathan Pimental will be expected to lead the way on the offensive end, while Alex Darnall and Dmitry Baycharov lead a group of returning players hoping to make up for the loss of long-time starter Troy Williams. OPRF will get a big boost on the defensive end with Sean Obrecht returning in goal for a team hoping to improve upon last year's third-place finish in the West Suburban Conference. Not many teams can go through a transition year and still end up with over 20 wins, but that is exactly what Naperville Central accomplished last season. A mix of youth and experience should make the Redhawks a tough opponent during the upcoming campaign, starting with the defensive presence of seniors Kyle Stablein and Matt Prestinario. Adam Hunter, Connor Lamb, Joe Bigenwald, and Matt Leboe will be counted on to make major contributions for head coach Bill Salentine, while underclassmen like Christian May, Mike Stern, Phillip Emden, and Nick Walker could also make an immediate impact. Nearly everyone returns for the Red Devils in 2013, so they could throw a wrench into the plans of several contenders in both the West Suburban Conference and the Naperville sectional when the dust settles on the upcoming season. George Koulouris is expected to make significant contributions as Central's top returning goalscorer, while goalie Mitch Courtney spearheads a team that will once again look to rely on their defense to win plenty of games. The Red Devils have plenty of experience, speed and depth as well, with Alex Cruz, Brogan O'Doherty, Jake Sprong, Nicky Relias, Pat Mis, Peter Quinnones, and Wade Kinney all back in the fold to help head coach Martin Bell's team improve on last year's 17-win season. It's tough to figure out where to place Loyola in the grand scheme of things in 2013. After finishing 3rd and 2nd in the state in the last two years, the Ramblers lost all seven starters. Yet, something tells me they will end up competing for another state berth with a new set of players when all is said and done. Jack Considine should be a major producer after waiting in the wings for the last few years, Kyle Strobel is a strong replacement for Robby O'Connor in goal, and players like Ben Pasquesi, Cameron Shewchuck, George Finn, Matt Kearney and Ray Lynch could help move Loyola back into the Top 10 quite rapidly when the competition season begins in March. 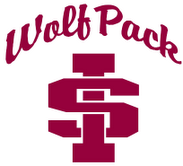 Youth prevails for the Wolfpack in 2013, as second-year head coach Luis Martinez will call on a pair of sophomores (Billy Barth and Jesus Juarez) to get the Catholic League squad back in the mix for a run at a sectional title. Tym Zymon emerged as a solid shot-stopper last season, so his presence will definitely help limit opposing teams from scoring. John Reyes and Tom Dowling should play bigger roles for the Wolfpack, who face the tall task of finding replacements for Brayden Amendola and Jaime Juarez. There are plenty of question marks surrounding the Romans this season after they lost several long-time starters (Eddie Wickes, Grant Wilkie, Jacob Himmel, etc.). However, there are several players that have been waiting for their turn to make an impact, so Latin could be right back in the mix to challenge for another sectional title in 2013. Eugene Gorleku and Steven Grotewold could both be big producers for head coach Noah Himmel's team, while Jacob Hirshman and Kevin Warde may also be called on to play significant roles for the Chicago-based school. New goalie Gerald Porter could have a breakout season for the Romans in his first year as a starter after an impressive offseason. The Wildcats were solid and consistent throughout the entire 2012 season, so expect more of the same from head coach Adam Hoffer's squad in 2013. There is no shortage of options on the offensive end, as Will Russell, Brian DePuy, Drew Dvorachak, and Alex Thoele are all more-than-capable scorers. John Hedderman had a solid offseason and steps in as the Wildcats' new goalie, while sophomore Simon Shatinski should play a bigger role in Neuqua's quest to dent the hopes of their Naperville-area rivals. The Vikings will likely face a handful of challenges in the early part of the season after losing a large portion of their starting lineup, but expect JP French, Luke Stark, and Matt Zambelli to make Fremd a tough opponent after their first-ever state tournament appearance in 2012. Fremd will need to find a new goalie after losing Max Plichta to graduation; filling this position could be key to the Vikings emerging with another Mid-Suburban League title and a second consecutive state berth. It hasn't taken long for Maine South to work their way into the upper echelon of water polo teams in the state of Illinois. After a 23-win season and a second-place finish in the Central Suburban League, the Hawks are likely thinking of bigger and better things in 2013. Makai Deneve-Arnam has emerged as the leader of the offense, while head coach Chris Deger has a strong cast of returning players that includes Brian Touhy, Kyle Christie, Matt Kramer, and Ryan Pattullo. Brian Orzech also returns in goal for Maine South, who will be eyeing their date with New Trier on March 21 as a possible landmark win, as the Trevians were the only blemish on the Hawks' conference record and knocked the Hawks out of the playoffs in the semifinal round last May. The Scouts should make a major move in 2013 after nearly doubling their win total in the previous season. Leading the way is senior John Baker, who was a big reason for Lake Forest's turnaround and will look to carry the load on both ends of the pool. Michael Allen has also dramatically improved after a strong offseason, while Colin Rowe, David Hayes, Jason Woodruff, and Jeff Stevens give the Scouts plenty of reason for optimism as they head into the new season. Jake Gloor also returns in goal for a team that brings back nearly their entire starting lineup from their 2012 campaign. The Cougars lost a handful of senior leadership but should still be strong enough to challenge for the Mid-Suburban League crown and a state-tournament berth after a strong offseason. Devin Schmitz and Jon Burke both return to lead the offense, while head coach Tim Daniel will look to players like Alex Young, Jake Nelson, and Kyle Bradberry to build off of last season's 22-win campaign. A big key to the Cougars' hopes will be finding a goalkeeper to replace Ryan Haman; either Ali Ahmed or Jacob Lawson could emerge as the starter in net for Conant. The Hawks have shown steady improvement over the last few years and should fully realize their potential in 2013. After an 18-win season, head coach Chris Fetterman has his squad set to challenge for the Mid-Suburban League title and the team's first-ever state bid. There is plenty of reason for optimism, as Adam Pasnicki and Sang W. Han both return to lead the offense and senior goalie Logan Gizel has emerged as a terrific shot-stopper for Hoffman. The speedy Nick Jessee and Luke Iehl will be counted on to provide bigger contributions for last year's fourth-place finishers in the MSL West, while Jacob Pasaye and Salman Akthar should round out the starting lineup for this well-balanced squad. It hasn't taken long for second-year head coach Brian Drumm to get things turned around at York. The Dukes quietly improved throughout the previous season, more than doubled their previous season's win total, and look prepared to make things interesting in the stacked West Suburban Conference. York is led by senior Patrick McKenna, who is primed for a huge year after an impressive offseason, and fellow senior Alex Waldherr, who should make significant contributions on the offensive end. The team also returns starters Joe Kesslering, Nick Salek, and Wil Hubert, while Matt Bindeman will take over in goal. Palatine had a down year in 2012 after several 20+ win seasons, but the Pirates return nearly all of their starters and are poised to make some noise in the Mid-Suburban League. They have plenty of scoring options available, as Alex Brons, Christian Kalfas, Kristian Kalev, Omar El Hoffi, and Wally Kleinfeldt are all back in the fold for head coach Joe Gryzbek. Peter Blackham returns in goal after a strong 2012 season and leads what should be a much-improved defense. The Warriors faced their share of struggles last season with a young squad, but they should reap the benefits of gaining that experience with nearly everyone returning for second-year head coach Matt Niemeier. Mike McWhirter is the clear "go-to" guy for Waubonsie Valley, but expect players like Brandon Krug, Kelvin Newton and Nathan Morris to make major contributions for a team that could prove dangerous when the end of the season nears.